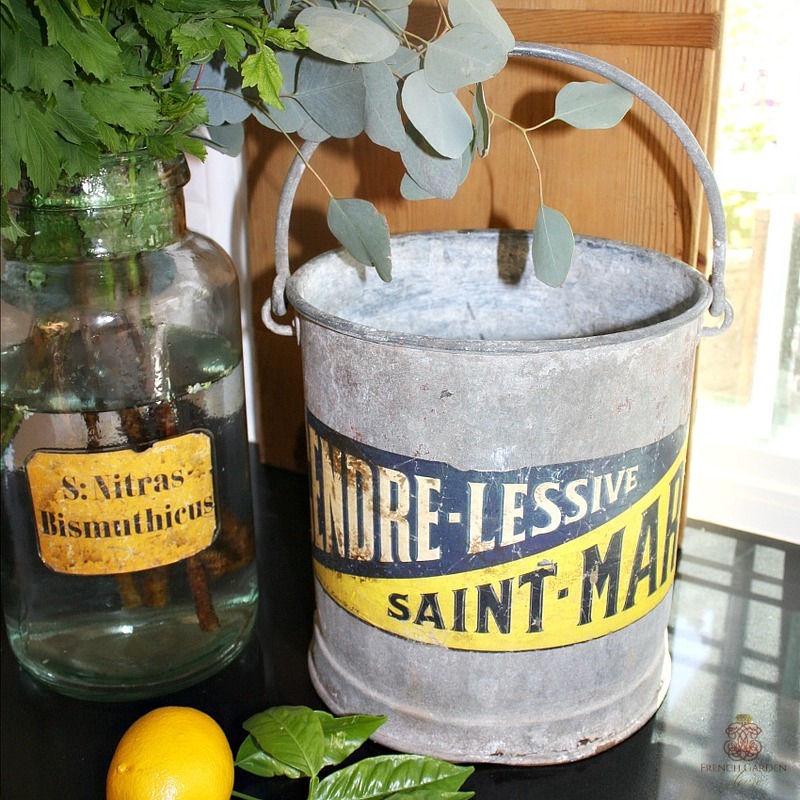 Decorative larger Vintage French Zinc Bucket, with a gorgeous Blue, Yellow and White paper label. 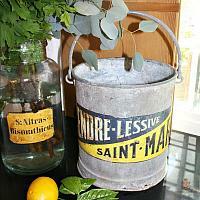 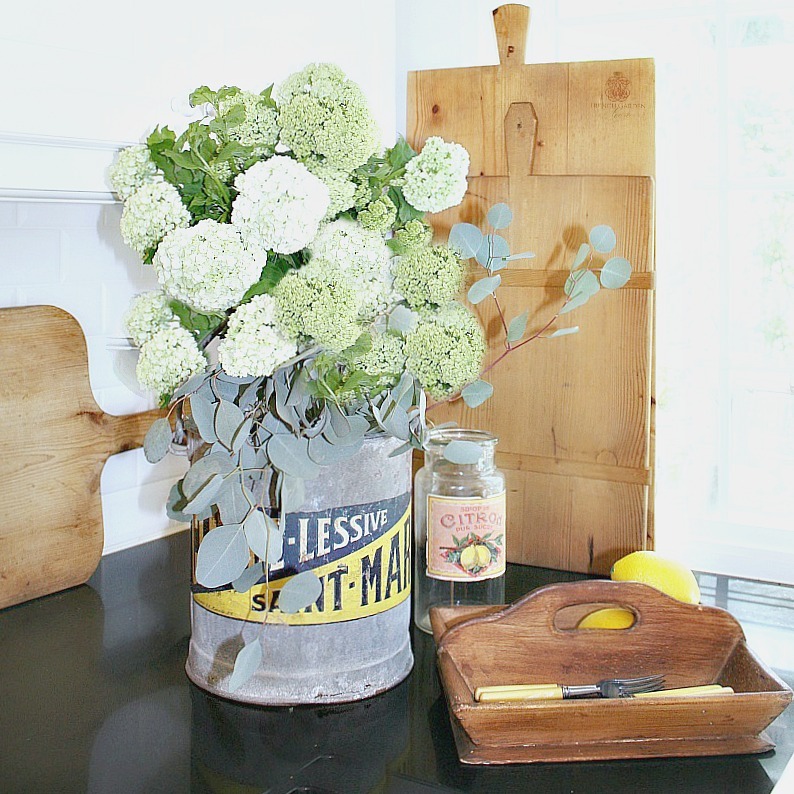 This is shabby French Country at its best, I love this for anywhere in your home or garden! 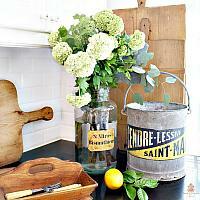 Filled with a large bunch of snowballs, or empty, this brings all the charm of the French lifestyle to your home. Bought in France, it has a very slow leak on the rim, use an insert to add real flowers and water.